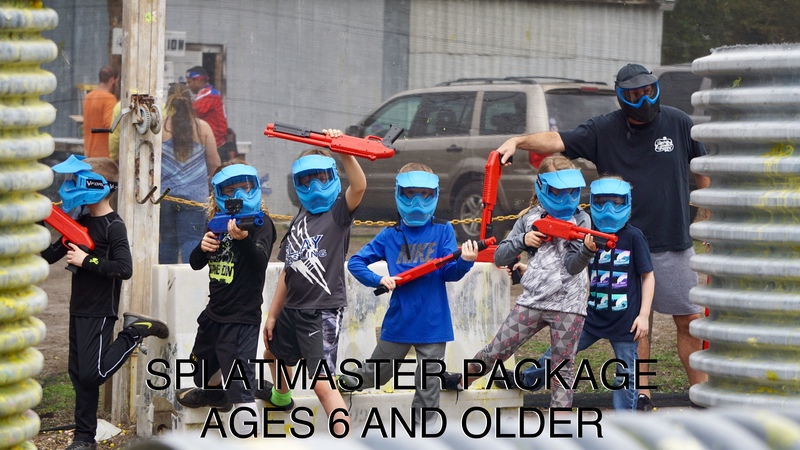 FOR AGES 6 AND OLDER Splatmaster is a spring loaded paintball experience for more fun and less sting. All packages include picnic table, 10 Markers, 10 Safety mask, Private Referee and UNLIMITED PAINTBALLS for 2.5 hrs $300 min for first 10 players. $50 deposit required. 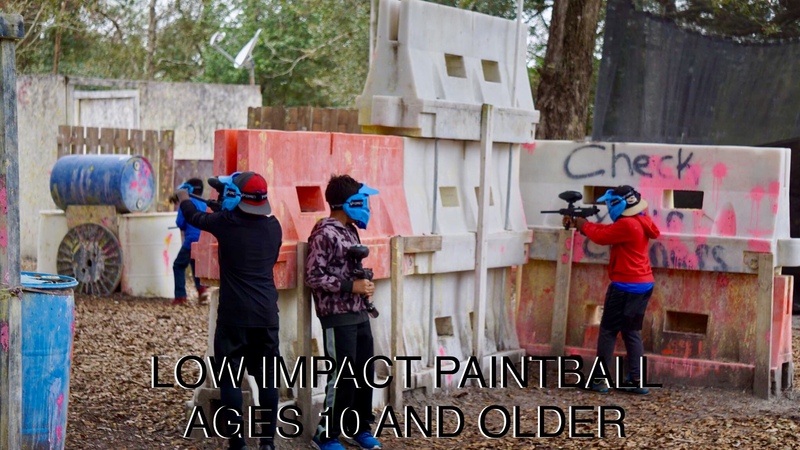 FOR AGES 10 AND OLDER $300+tax All packages include picnic table, 10 Low Impact Markers, 10 Safety mask, Private Referee 4,000 paintballs up to 2.5 hrs $300+tax. Additional players $30+tax. $50 deposit required. FOR AGES 12 AND OLDER Come in and join others playing traditional 68 caliber paintball . 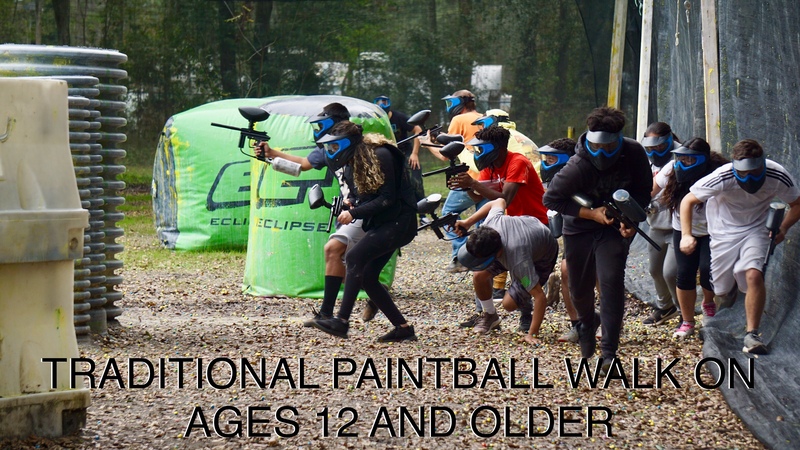 $35+tax/person includes marker,mask,unlimited air/field access and 500 paintballs up to 2.5 hrs. FOR AGES 10 AND OLDER Low impact is perfect for the younger crowd, or anyone who wants less sting with all the fun! 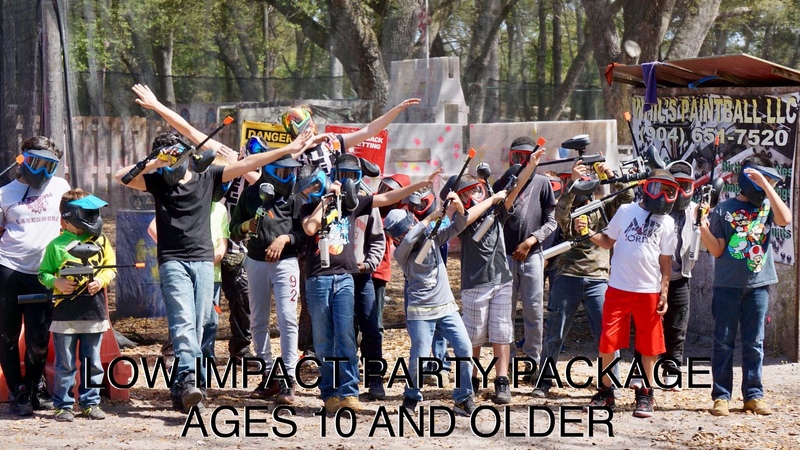 $35+tax/person includes low impact marker,mask,unlimited air/field access and 500 paintballs. $50 deposit required to hold reservation. Group rate of $30+tax per person if you have 12 or more. 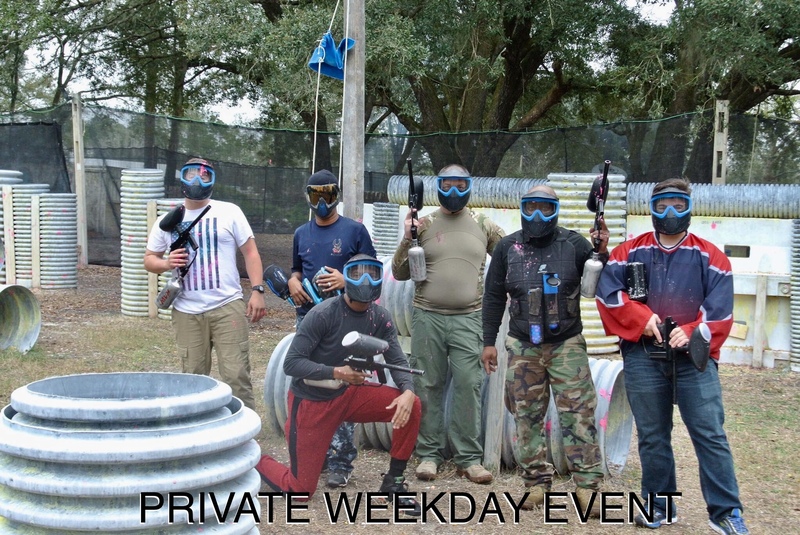 Corporate groups, birthday parties, any reason for a private event during the week is a great reason for a paintball party. All packages include picnic tables, markers, safety mask, unlimited air/field access and 500 rounds of paintballs up to 2.5 hrs. For groups of 12 or more there is a discounted rate of $30+tax per person.